Sometimes the tablet just isn’t enough, when you need a quick and easy way to jot down your notes. 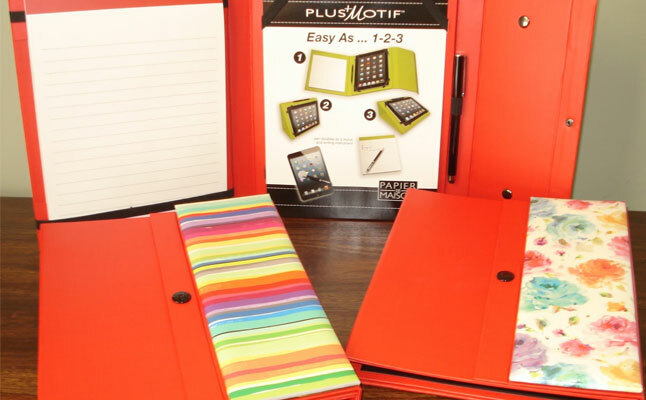 This is where the Case for iPad from PlusMotif comes in handy: besides the all-round protection from nicks and bumps, this folio tablet case stores a neat notepad and a stylus next to the tablet itself. 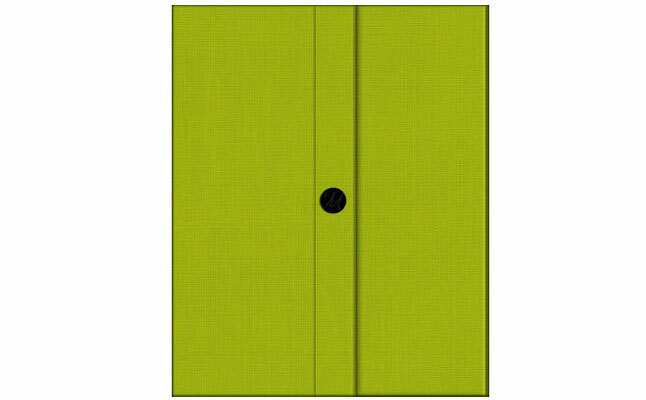 The PlusMotif Case for iPad comes in 16 colors, multiple motifs, and four different sizes made for various tablet devices. 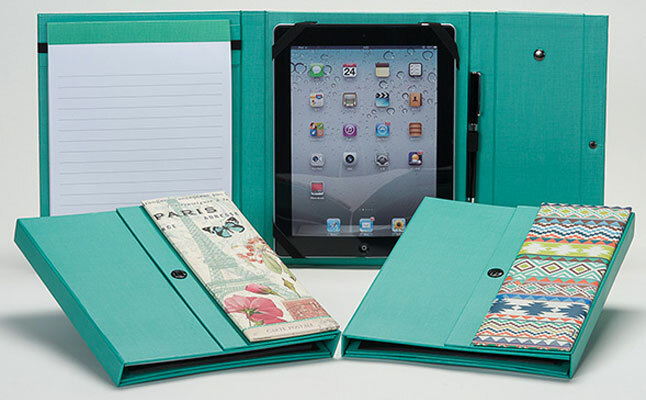 The Apple iPad 4 case secures both the notepad and the device via four corner strap system. 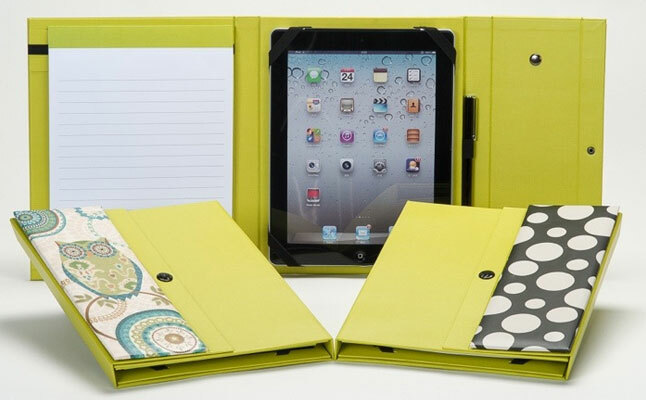 The tablet and the pad can change places at will, making the Apple iPad 3 case equally suitable for both right-handed and left-handed tablet owners. The unique construction of the Apple iPad 2 case shields the device from all sides, but at the same time keeps the access to all ports and buttons completely open. The Apple iPad case can also be folded down to provide the device with a couple of convenient tablet stand viewing angles. The case comes with a secure magnetic lock . Customers can also design their very own customized case. The price for this case is $39.99.